Sigh. Last summer Texas had droughts. This summer Texas has torrential downpours. I feel kind of trapped because of it. I’ve been spending wwaaaaaaayyy too much time cooped up in this house. Exactly one year ago I was traveling around China, doing whatever I wanted. 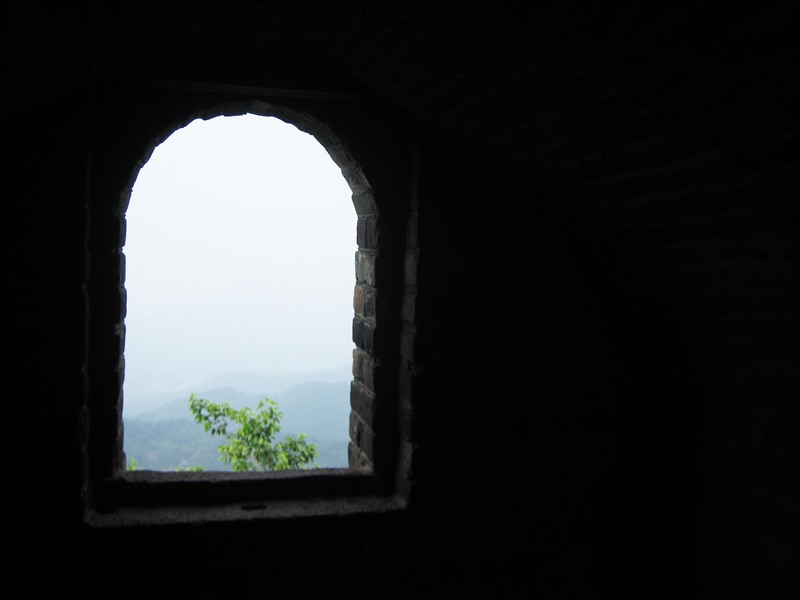 This picture is from when I was on the Mutianyu section of the Great Wall in Beijing … and spent the day with a random Spanish guy named Julio (who I met on the chair lift). Ah, that was a fun time. No such fun-ness here. Thursday I didn’t go to work because there’s no way I was going to drive half an hour into downtown Houston through heavy rain with thunder. I’m not a good driver to begin with, and getting on the highway when it’s raining heavily, I’m freaking out, and other drivers are freaking out … it ain’t pretty. Thankfully no flooding near where I am. It’s just … ugh. At work, I’m organizing files to be archived. In the file cabinets there were some magazines, but only certain articles were relevant for the archives, meaning … I had to cut up an Artforum. ACK! I am one of those people who does not write in books. I don’t highlight. I don’t even fold pages. I just do not mess with publications. It seems so blasphemous. 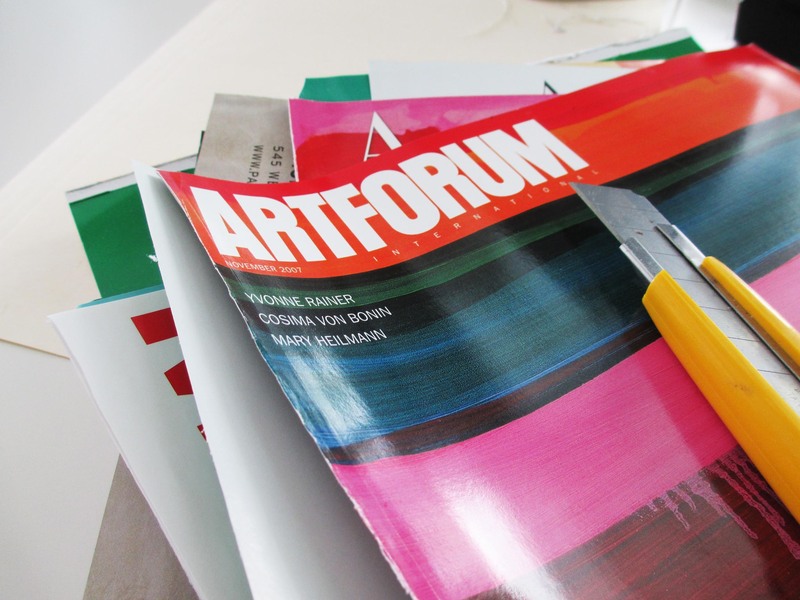 And then to CUT UP a magazine, especially one like Artforum? Sadness. Pure sadness in my mind. Especially because according to the archiving procedures, I had to cut out the relevant articles AND the cover … and the rest of the mutilated glossy could go into recycling. Sigh. I have a stack of Better Homes and Gardens and I don’t even tear those apart. I might place a post-it note on an article to get back to, but I don’t think I could bring myself to destroy it. Oy. Yes, I’m a bit neurotic about these things, but it truly pained me to cut up those magazines! There’s not much more time left of the day, but it’s still July 4th for now! Unfortunately out in the suburbs, the fireworks are most underwhelming. 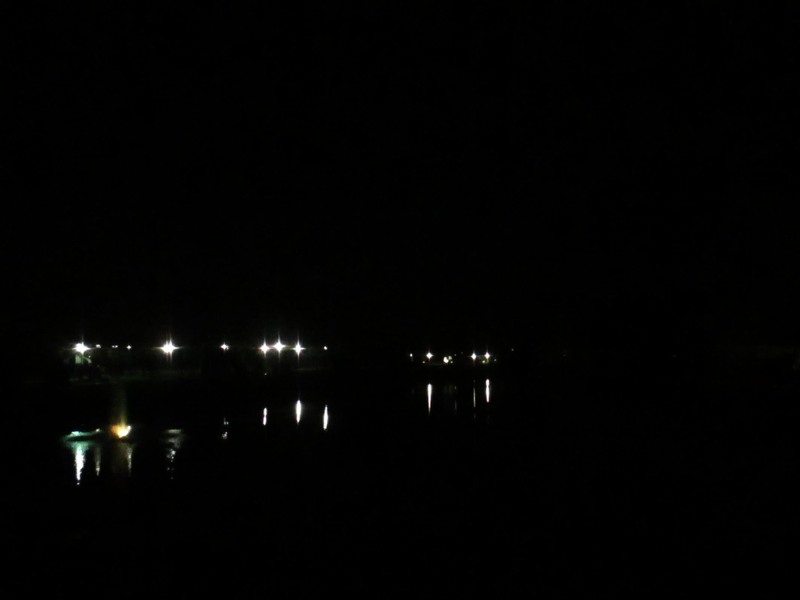 It’s not totally pitch black, however, as there are some streetlights and the light reflects in the water. And every now and then there might be a firework … off in the distance. Yeah, it’s kind of lacking that festive spirit, but it was nice to have a day off from work to celebrate Independence Day!